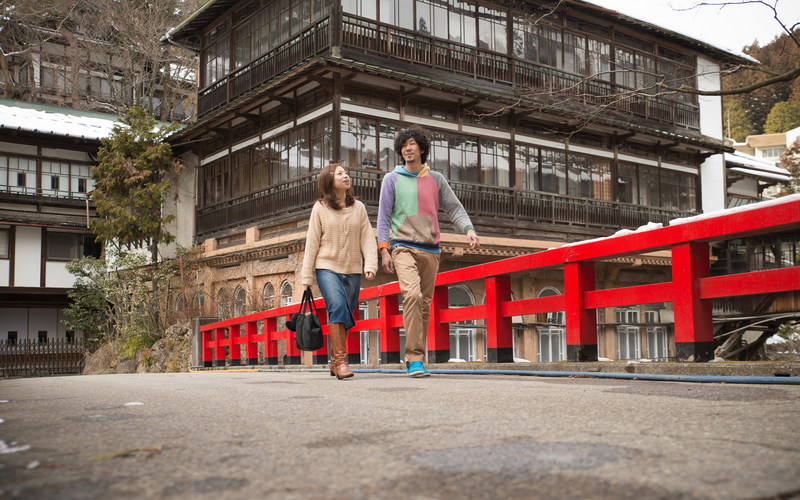 Did you know that right here at Shima Onsen, there is a building said to be have inspired the setting for the famous animated film, Spirited Away? Today we’re going to talk about the little-known connection between Spirited Away and Shima Onsen. Manga, TV anime, and animated films are one aspect of Japanese culture that we Japanese are very proud of. One Piece, Fullmetal Alchemist, and Captain Tsubasa are just a few examples of manga and anime titles that are popular all around the world. And you often hear Studio Ghibli, the producer of so many feature-length animated masterpieces, touted as one of the most beloved names in Japanese animation. Among Studio Ghibli’s many works, Spirited Away (winner of Best Animated Feature Film at the 75th Academy Awards) is one of the most famous of all. The setting for this movie is the supernatural bathhouse for spirits called “Aburaya,” run by the witch Yubaba. In the book, Ghibli no kyokasho 12 (the Spirited Away volume in a series of books about Ghibli films), it says that “there is no specific bathhouse in existence on which Aburaya’s design was based.” Despite this, the question of where director Miyazaki got his inspiration from is a question of great interest to the Japanese. The Edo-Tokyo Open Air Architectural Museum and the Meguro Gajoen hotel are commonly believed to have influenced Spirited Away, and even Studio Ghibli recognizes this influence. 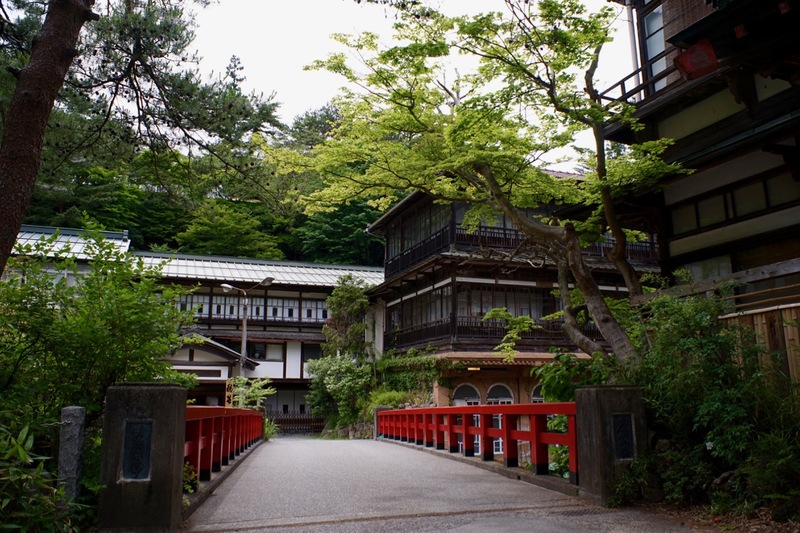 Among other locations said to have influenced Spirited Away are Dogo Onsen Honkan, Shibu Onsen Kanaguya, Tsurumaki Onsen Jinya, and finally Sekizenkan Honkan, located here in Shima Onsen. Shima Onsen’s Sekizenkan Honkan, designated one of Gunma’s Important Cultural Properties, was built in 1691 and is said to be the oldest wooden bathhouse (Ryokan) in Japan. As such, the nostalgic atmosphere of the period is perfectly preserved there. As an Important Cultural Property of Japan with as much prestige as Nikko’s Yakushido, Sekizenkan Honkan is one of the most historically significant structures in Shima Onsen. Many of us enjoy travelling all around the world, and there’s one drink you can find just about anywhere you go. That’s right – beer! I myself never miss a chance to try the local beer, no matter what country I’m in. 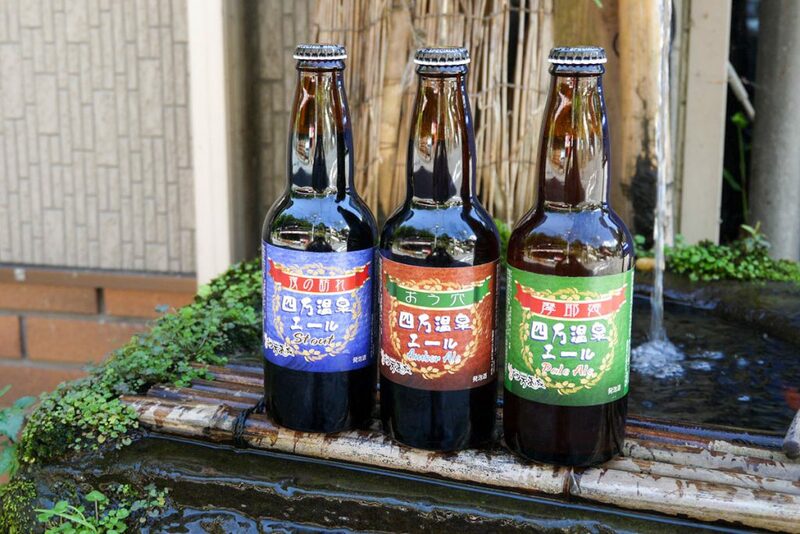 In Japan, Kirin, Asahi, Sapporo, and Suntory are the four biggest breweries, and the most popular beers among them are, of course, Kirin Ichiban Shibori and Asahi Super Dry. 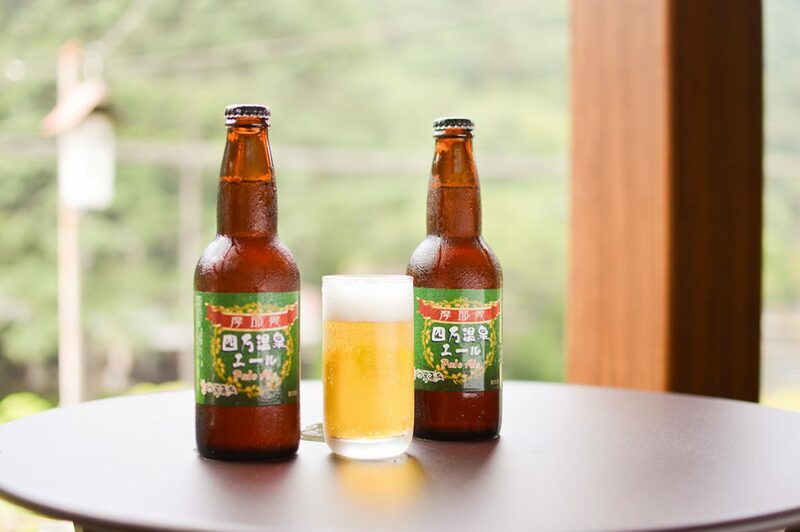 But here at Shima Onsen Kashiwaya Ryokan, we have much more than your standard beers; on top of Kirin and Asahi, you can enjoy Yebisu on tap or “Shima Onsen Ale,” our very own locally brewed beer and the feature of today’s blog post.